In 1749 Port-au-Prince was first chartered by the King of France as the capital of Saint-Dominique. It was named after the French ship Prince, which first weighed anchor in the bay at the foot of the Massif de la Selle in 1706. The capital boomed from the increasingly wealthy southern plantations of the Cul-de-Sac, Délices and Léogâne plains. Today, representations of their ancestors bodies form throughout these plains, in both man-made and organic matter, along with the remains of the aqueduct system which feed these plantations. 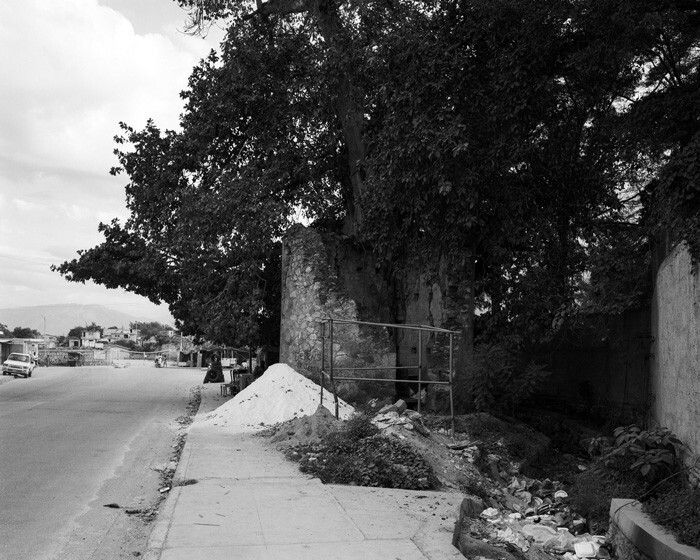 The last visible relic of the neocolonial era lays in the north of Port-au-Prince, the HASCO (Haitian American Sugar Company) sugar refinery. HASCO was first registered in Delaware, US on the 5th of August 1912, three years before the Americans occupied Haiti. The Americans officially left in 1934, yet they have remained present with both political and economic interests, creating a system of corporate hegemony.